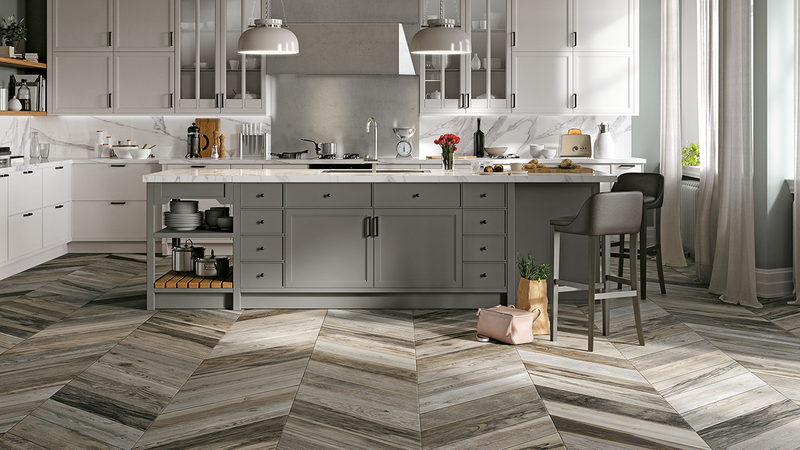 Whether your style is minimal, modern or more traditional, before starting the design process, it’s important to point out that kitchens are about more than just cooking. Today they represent the true heart of the home, a new living space for talking, eating, laughing, and sharing. That is why, no matter its size, the kitchen is of crucial importance. Mirage offers a wide range of possibilities. 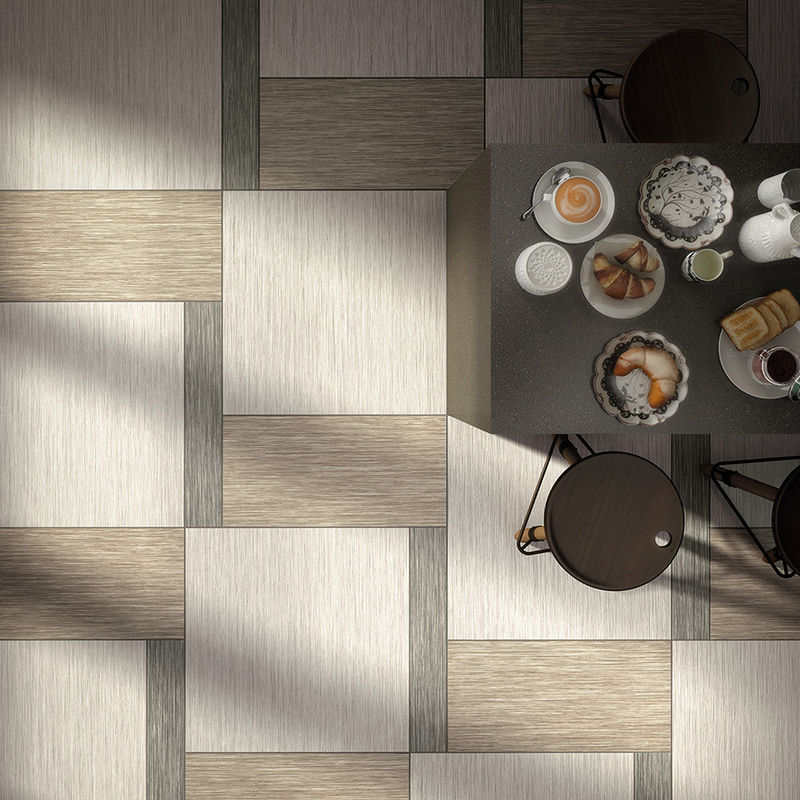 From the “rough”, lived-in wood texture of Drakkar to the more sophisticated, textile effect of Wooow, porcelain stoneware is the right material to suit every furnishing need. The Drakkar Collection reproduces an imperfect surface that combines nature with the passing of time, creating a truly authentic balance. The collection is made up of various types of wood planks, each with their own history, past and, above all, individual aesthetic qualities. 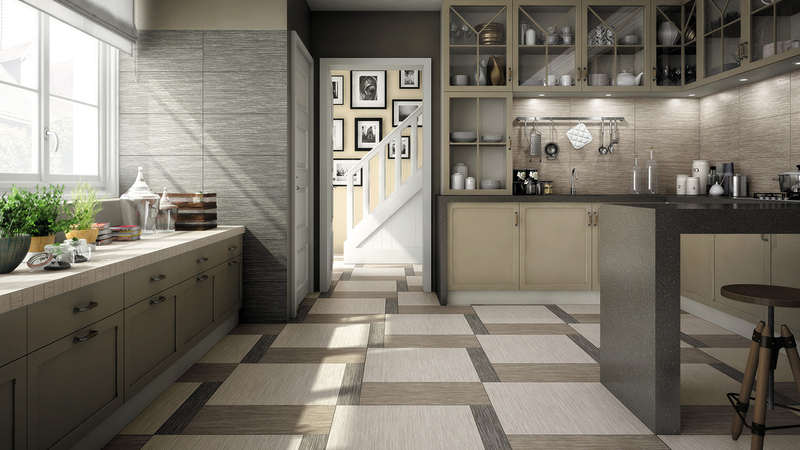 The three colors represent three different moods, with shades of brown (South), grey (North) and black (Pole), suitable to add a modern feel to your kitchen in a warmer or colder version. 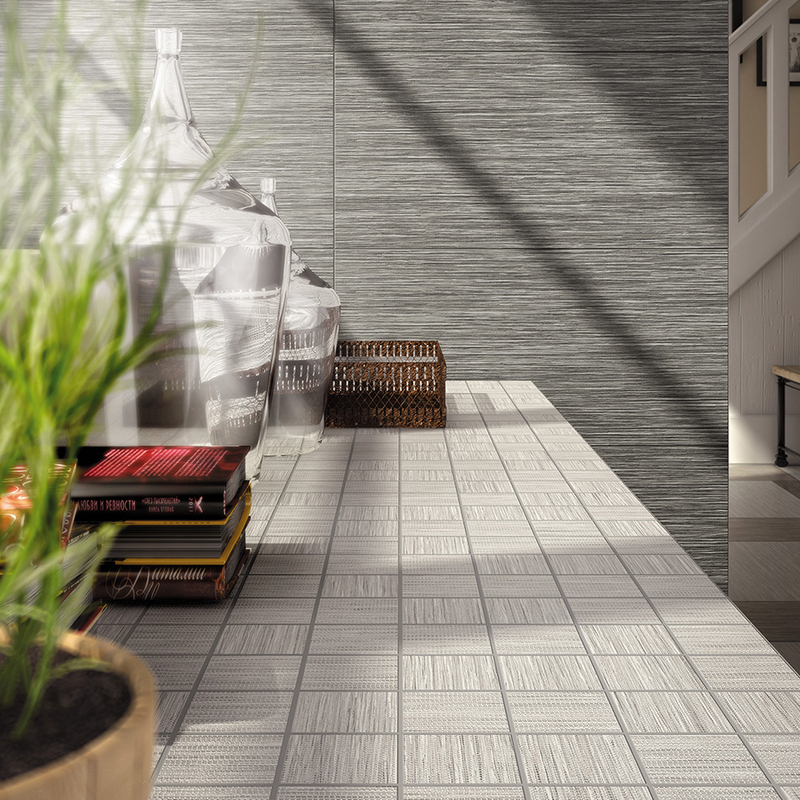 The Wooow collection offers an authentic blend of natural fibers reproduced on porcelain tiles: a mix of rugs and carpet, for an elegant textile inspiration. The color movement alternates between emptiness and fullness, recreating a fabric effect on floors and walls with a soft, natural appearance. The collection comes in four colors, featuring shades and nuances with a beautiful intertwining effect: Cotton, Linum, Biscuit and Silver.